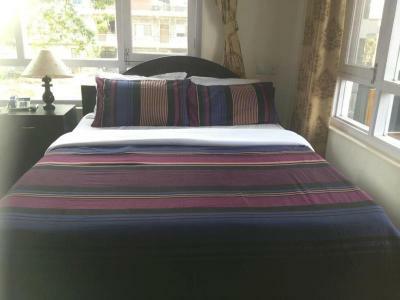 Your home away from home in Pokhara, Hotel Bougainvillea is located near the Lakeside, offering the snow-capped Machhapuchhre (Fishtail) Mountain and Fewa Lake. 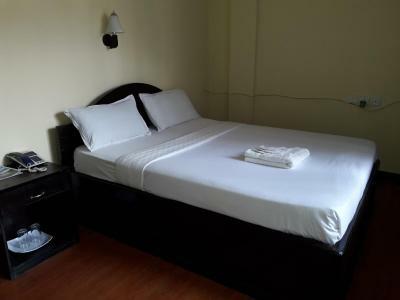 The hotel features 2 restaurants and provides free Wi-Fi in all areas. The hotel is a 20-minute drive from the World Peace Stupa and a 15-minute drive from Devi's Falls. Barahi Temple is located 1,300 feet away, while Pokhara Airport is 2.5 mi from Bougainvillea Hotel. The rooms are bright and airy, featuring large windows. 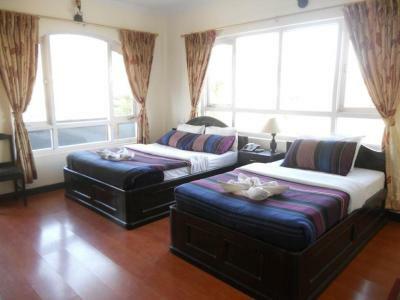 Each room comes with hot shower facilities, private balconies and a satellite TV. Some rooms have air conditioning. For meals, enjoy local or Chinese dishes at the Serenity Himalayan Restaurant. Alternatively enjoy your meal with views of the mountain on the rooftop restaurant. Alternatively, there are many restaurants just a 5-minute walk away. When would you like to stay at Hotel Bougainvillea? The rooms are bright and airy, featuring large windows. Each room comes with hot shower facilities, private balconies and a satellite TV. 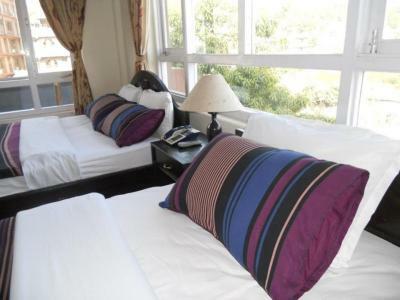 Overlooking a mountain, garden or lake, the rooms come with hot shower, private balcony and a cable TV. House Rules Hotel Bougainvillea takes special requests – add in the next step! We need at least 5 reviews before we can calculate a review score. If you book and review your stay, you can help Hotel Bougainvillea meet this goal.